Well, I have made it through my first semester at the University of Winnipeg. Now that I have some space in my head for things other than cultural theory, horror film, and research methods, it’s time to get back to writing about music. Here in the glow of the Christmas tree lights, with no formatting and citation guidelines to slow me down, writing once again feels like a luxury. Once again, here is my annual list of my favourite albums of the year (view my past lists here). As always I found new albums I loved, and some that were merely decent, while others were a disappointment. 2015 was the year that the surprise release became de rigeur, which in turn fed the music blog rumour mill. Some big names, like Beck and Kanye West, have promised new albums for more than six months, but have yet to release anything more than a single. As usual, there were many good albums that haven’t made my list, but are still solid, innovative efforts that are worth checking out. On the big pop front, Florence + the Machine found some much needed restraint, and were a touring juggernaut, headlining Coachella and Glastonbury. What’s that you say? The relaxation of the holidays has you more in the mood for folk? Then simply substitute the weaker tracks on The Decemberists’ new LP, What a Terrible World, What a Beautiful World, with some of the stronger material on their Florasongs EP and you’ve got yourself a really rewarding folk album. 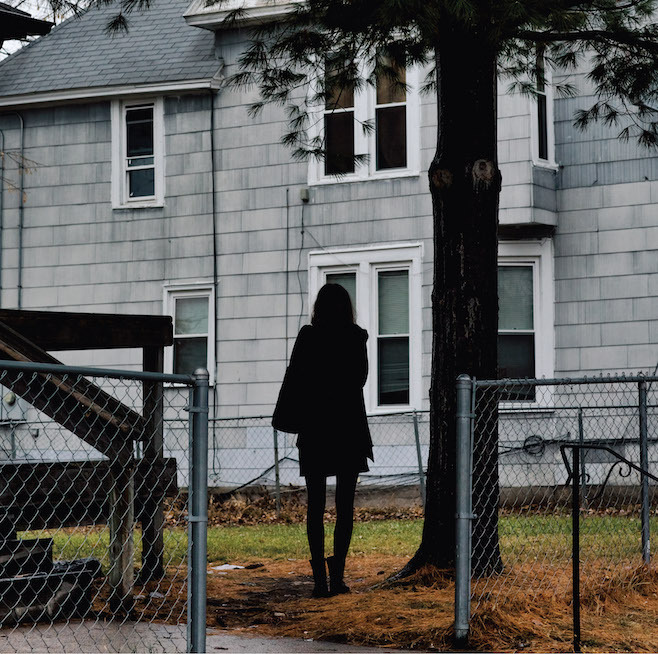 Meanwhile, The Tallest Man On Earth hired a full band and released Dark Bird is Home, which featured my favourite album cover of the year (though Jim O’Rourke’s Simple Songs cover was a close second). Dan Mangan + Blacksmith broke from their folk-rock leanings and wore their Radiohead influences on their sleeves, creating the dense and moody Club Meds. Bob Dylan crooned his way through some Sinatra standards, surprising everyone with delicate slide guitar arrangements and emotive vocals. Alabama Shakes returned with Sound & Color — undoubtedly one of the most anticipated releases of the year due to its predecessor’s breakout success — and did a delightful left turn that challenged their traditionalist fan base in all the right ways. Finally, Blur came roaring back unexpectedly and released The Magic Whip, which was by turns melancholy and triumphant. Its many sonic burbles made for a great headphones album. There were also some lackluster releases. Of Monsters and Men’s sophomore record, Beneath the Skin, had a really promising lead single in “Crystals,” but the rest of the album was bland and overproduced. Death Cab for Cutie returned, unfortunately minus Chris Walla, with Kintsugi. The album was stronger than 2011’s Codes and Keys, but still demonstrated the inconsistency that has plagued their post-Plans output. Although many Can-Rock fans will disagree, I was also a bit unsatisfied with Joel Plaskett’s new album, The Park Avenue Sobriety Test, which had some great moments but was uneven. The album’s highly collaborative, big tent approach made for a record that seemed more fun for him to record than it was for audiences to listen to start to finish. 2015 was also the year that how you listen to music occupied critics more than what you listen to. There were a lot of thinkpieces on streaming, vinyl, and royalties. This year saw the rise of Apple Music and Tidal, and the continued popularity of Spotify and Google Play. For millennials at least, streaming services became the new norm. I’m not anti-streaming, but I listen via CD and LP at home, and MP3s on the go. While this limits the number of new releases I can buy, I actually don’t mind the restriction (most days). It gives meaning to the albums I do listen to, and helps me remember that there’s more to music appreciation than an endless hamster wheel of the New. Another reason I couldn’t keep up with new releases this year was that I chose to take more time to fill in the discographies of some of my favourite artists. Used CDs are an inexpensive and fun way to do this. Winnipeg has a good used CD market, and the compact disc is the least-loved format right now, making it a bargain. Mass format switch-overs are a great time for collectors. Anyway, with all that said, the 2015 albums I didn’t get to listen to before making this list includes MUTEMATH’s Vitals; Destroyer’s Poison Season; Jim O’Rourke’s Simple Songs; Natalie Prass’ self-titled debut; Deerhunter’s Fading Frontier; Beach House’s two(!) LPs (Depression Cherry and Thank Your Lucky Stars); and Sleater-Kinney’s No Cities to Love. Some of these albums topped a lot of critics’ lists, and I hope to get around to some of them in the coming months. This past spring I also was given the opportunity to contribute drums to a college friend’s debut album. Please check out Brandon Post’s Pieces and have a listen to his new album. My relatives Ariel and Jim also released a great EP with their London-based band, House Above the Sun, and I highly recommend checking it out as well. The year in concerts brought Matthew Good and Dan Mangan at the Burt, Steve Gunn in a London pub, and my first ever Winnipeg Folk Festival. It was four absolutely fabulous days of sunshine, music, and food. I loved it even more than I thought I would. There were blistering sets from The Sadies, Steve Gunn, and Royal Canoe. Sasha and I also enjoyed a chill main stage set from Jose Gonzalez. Kurt Vile seemed distracted and unorganized during his solo set, but he did debut some new material in advance of his new album, which was a treat. While wandering around one afternoon in search of shade, I discovered Marlon Williams, a young New Zealander channeling Townes Van Zandt whose debut is coming out in February on Dead Oceans. The only downer of the festival? A huge thunderstorm shut down Wilco’s festival-closing set after only three songs. But the band surprise released their new album Star Wars for free five days later, so that kinda made up for it. And what new albums do we have to look forward to in 2016? Well, the aforementioned Beck album, for one. Also, new albums from The Besnard Lakes and M. Ward will be here before spring. Robin Pecknold is headed out on tour with Johanna Newsom, so there’s at least a chance of new Fleet Foxes material. Feist has been awfully quiet since winning the Polaris prize in 2012, and I wonder if 2016 will be the year she returns to the spotlight. According to Stereogum, we can also expect new music from The Shins, Explosions in the Sky, Steve Gunn, Sigur Ros, PJ Harvey, David Bowie, Grizzly Bear, and maybe, just maybe, Radiohead. But enough preamble — onto the list! Here are my top 10 albums of 2015. A side project doesn’t have to be this good. Side projects tend to be uneven albums that benefit artists more than listeners by providing a creative outlet that the artist can’t explore with their primary band. But EL VY, a duo comprised of Matt Berninger of The National and Brent Knopf of Ramona Falls, puts to rest the notion that side projects entail lowered standards. Return to the Moon is funky, playful, and lighthearted, but that makes the melancholy moments all the more powerful. “No Time to Crank the Sun” is one of the tracks of the year, in my opinion. The album’s lyrics are full of Berninger-isms that National fans will be familiar with: “I’m so excited the senator’s a fighter.” “I just need a couple minutes on the floor,” etc. But while the press has written a lot about Berninger, I think Knopf’s contributions to this album need to be acknowledged as well. There’s a great exploratory vibe to the layered instrumentation that makes for a really engaging listen. Pro tip: when a long-time collaborator and backup musician steps out into the spotlight and releases their first full-length solo debut, it’s a good idea to check it out. In years past Phil Cook fronted Megafaun and collaborated with Justin Vernon, but more recently he has played guitar, organ, and keyboards with Hiss Golden Messenger and the Shouting Matches. Southland Mission reminded me that sometimes a great album is simply one that makes you feel good. It’s heavily influenced by gospel and the blues, but not in an insincere or ironic way. When I listen to this album I get the sense that Cook is an individual with a genuine passion for the musical traditions he grew up with. As Cook stated in an interview, “The cells of my body vibrate to gospel music. I don’t know why. They just do. So I give that to my body.” Here’s the video for his cover of “1922,” a very old blues number which makes me want to quit my job and walk around music festivals barefoot all summer long. Poor Modest Mouse. They can’t win. Their new album was heavily anticipated but ended up garnering mixed reviews. As far as I can tell, most criticisms of the album boiled down to, “It’s not their early albums.” But to me, that fails to take the album on its own merits. So I think Strangers to Ourselves deserves a critical reappraisal, because it is really good. It’s bloated and probably needs three songs cut (and I know exactly which ones), but all the other songs are pretty sweet. The production is obviously meticulous, but nevertheless preserves the band’s ramshackle, yell-from-the-swamp sound. Modest Mouse has grown to a 7-piece band, and the album’s instrumentation is dizzyingly layered, yet always appropriate (case in point: the beautiful mallet percussion on “Ansel”). When the big band dials up to a crescendo, it’s quite something to behold. I’ve seen Matt Good perform live 7 or 8 times, and I feel a special connection to his music that goes back more than 10 years. Arrows of Desire (2013), his last album, had some bright moments but was largely a retread of his 90s rock days. So I was really happy when I discovered that Chaotic Neutral was a return to form. The album opens with a fantastic trio of songs, which includes the strong lead single “All You Sons and Daughters,” and also features really lovely harmonies on “Moment.” The middle section of the album segues into longer songs that start out mellow and then build. Matt has always done dynamics well, and these songs showcase that. His voice is also aging well, and he (or longtime producer Warne Livesey) has managed to coax some more heartfelt performances out of his band. This is a very good thing, because a persistent woodenness characterized the drumming and rhythm guitar on Vancouver (2008) and Arrows of Desire. Not so on this new album. The lead guitar is especially good. Matt’s cover of Kate Bush’s “Cloudbusting” is a highlight of the back half of the album. It features a duet with Manitoban Holly McNarland, with whom he sang “Flight Recorder from Viking 7” way back in 2001. Every year I champion an underdog, an album I feel was unjustly overlooked, or simply not dwelled upon by the indie blogosphere for as long as it deserved. Sometimes I worry that I do this because my tasted are out of date. But anyway, this year it’s the Dodos’ new album, Individ. Released way back in January, Individ was recorded all-analog and features some really tight, muscular performances, showcasing just how well the band’s two members play together. Meric Long’s alternate tunings and lilting vocals intertwine with Logan Kroeber’s pounding, intricate tom work. There are some pretty sweet breakdowns on this album. Unique, commanding, and unrelenting. Calexico is too often damned with faint praise, with critics noting their consistency but seldom their brilliancy. But even those who are lukewarm on the band have to admit that with 2012’s Algiers and this year’s Edge of the Sun, the band has revitalized their career, which now spans nearly 20 years and 9 studio albums. Edge of the Sun features an array of guests, all deployed with characteristic restraint. Neko Case’s harmonies on “Tapping on the Line” are heavenly, and the 3/4 accordion shuffle of “Woodshed Waltz” provides some variety late in the album’s tracklisting. The band always includes an instrumental track on their albums, and “Coyoacán” sparkles with horns and brisk drums. The timbre of Joey Burns’ voice only improves with age, and the band’s melodic sense is sharp. Now, if only I could convince them to do a proper Canadian tour. What a pleasant surprise this album turned out to be. It certainly tops his last album, Wakin’ on a Pretty Daze (2013), which was no slouch song-for-song, but grew tiresome when taken as a whole. There’s a great late-night vibe to these new tracks, with some really satisfying performances captured on tape. “Outlaw” is an early standout, featuring some unironic banjo. “That’s Life, Tho (Almost Hate to Say)” may be the most affecting song Kurt’s ever written. There are plenty of other great meditative moments on the album, most notably the extended coda to “Wheelhouse.” The production is warm without sounding fussed over, and the texture of the drums and cymbals come through nicely. Overall, I think this album is a great example of how to mature and stretch yourself as a songwriter, without losing your edge. Kurt took some chances with piano and banjo, and made it work. B’lieve is an album that is simultaneously the sound of an artist pushing himself and finding his voice. I was late checking this album out, picking up a copy just a month ago, and I regret my tardiness. It’s a tour de force from a young artist who, remarkably, still seems to have room to grow. The suburban blues of “Depreston” will be familiar to anyone who’s driven through a new housing development. Courtney has a Dylanesque knack for creating quirky, relatable characters quickly, including the protagonist of “Elevator Operator.” The lyrics on this record are a lot of fun, but their wit demonstrates keen insight rather than substituting for it. Many have rightly noted Courtney’s ability to make the mundane interesting, right down to water stains on the ceiling. But the music is also great, with the right balance of spunky, hook-filled tracks and mellower, reflective ballads. An artist to watch in the next few years for sure. So much ink has been spilled about this record already that I feel a little self-conscious adding to the total. But it really is a great album, and not just because it is a culmination of the Misty character. The music aims for the sky and hits its mark. The arrangements here swing in a big 70s way, embellishing and keeping pace with Josh Tillman’s verbose, clever lyrics. In an interview with Pitchfork, Tillman recounts how his wife would listen to demos and tell him, “Don’t be afraid to let the songs be beautiful,” so Tillman scrapped the over-the-top “Disney-orchestra arrangements” and instead wrapped his world-weary sarcasm in music that was precise and heartfelt. Conceptually, this record is about navigating a personal and relational quandary: the sarcastic, reflexive, wine-drunk millennial male falls in love and (shock!) gets married, and must somehow come to terms with all these genuine feelings that crop up inside of him, despite his belief that postmodern life is shallow and artificial. The album’s final three songs — among the finest 1-2-3 punches of any album I can recall — deal with this dilemma directly. “Bored in the USA” is so lyrically tricky that late last year when Tillman debuted the song on The Late Show, David Letterman’s live audience initially didn’t know quite how to react to song. Is it biting class commentary or a take-down of whining First World white male problems? In either case, the result was a truly fresh late-night TV performance. I think the album succeeds magnificently on a conceptual level, but is also really enjoyable on a simpler level. If you listen to this album and are disgusted with the Misty character, thinking him a jerk, chances are you’re half way to appreciating the genius of the character, and this album. I think 2015 was the year I was reminded, again and again, that lyrics do matter. The top three albums on this list all feature some great lyric work, and collectively they helped me rediscover the importance of lyrics. Until Carrie & Lowell was released, I always felt that I couldn’t quite connect with Sufjan’s music. Something finally clicked when I put this record on. An undeniable virtuoso who can play just about any instrument, there’s something really respectable about Stevens reigning in his formidable compositional abilities, and that translates into a rewarding listen from start to finish. I guess it’s not so much restraint as it is distillation: a pure artistic statement, lyrically and musically. The instrumentation, while minimalist, is excellent too. Sufjan uses simple chord progressions with interesting sonic textures, as featured on “John My Beloved,” which is my favourite track on this album. Elsewhere, cloudy orchestral swells function as codas, stitching the album’s narrative together sonically. If any album this year had the power to stop even distracted or skeptical listeners in their tracks, it was Carrie & Lowell.